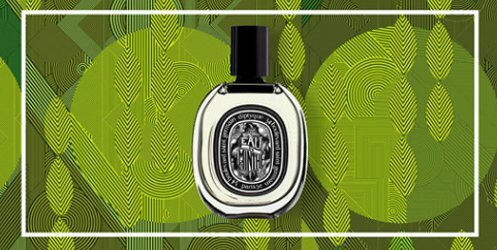 Diptyque will launch Eau de Minthé, a new fougère fragrance, next month. Eau de Minthé was inspired by the naiad of Greek myth, Minthe, who was turned into garden mint by Persephone. With Eau de Minthe, diptyque uses mint to reinvent an emblematic olfactory family: the fougere (fern in English). In the very heart of the composition, the aromatic freshness of mint enhances the lively floral notes of geranium while patchouli softens this duo with its profound depths. Eau de Minthe is a mythological tale which leaves behind a vibrant sillage. Diptyque Eau de Minthé will be available in 75 ml Eau de Parfum, $175. Update: Eau de Minthé was developed by perfumer Fabrice Pellegrin. Additional notes include rose oxide. I will probably be disappointed…but it sounds lovely and the bottle looks great. Notes sound underwhelming but I hope they bring something unique to the table. I would be sad if the juice ends up as another laundry detergent bomb at the end.